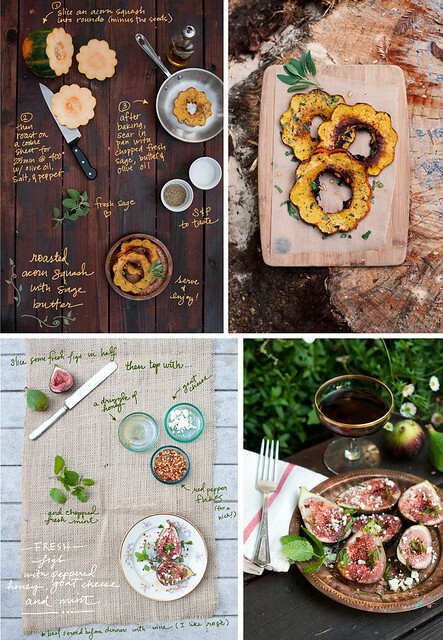 One of my dear friends/amazing photographer Erin Gleeson just started a new and addictive blog called forest feast with delectable treats photographed in her signature naturalistic style and accompanied by lovely lettered recipes and genius cooking and prep ideas. After 10 years of living in New York City, last summer my husband got a job in the Bay Area so we packed up our lives and headed west. For a big change of pace, we opted for a cabin in the woods 20 minutes outside of town. In New York I worked as a food photographer and after spending a little time amongst the redwoods of Northern California, I found that my recipes, home cooking and photography have all been inspired by local produce and the forest around me. So friends I’ll leave you for the rest of the week while I go enjoy some quality time with the family I’m so thankful for this Thanksgiving. I wish you all the love in the world. Signing off till next week. XO.